Stockport bed and breakfast travel guide for romantic, historic and adventure b&b's. 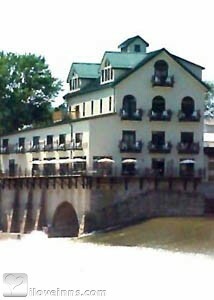 Browse through the iLoveInns.com database of Stockport, Ohio bed and breakfasts and country inns to find detailed listings that include room rates, special deals and area activities. You can click on the 'check rates and availability' button to contact the innkeeper. Stockport, Ohio is part of Morgan County, which bears the label the Front Porch to the Great Outdoors. The Wilds, which is said to be one of the most innovative wildlife preserves in the world is a 45-minute drive. A bit nearer is a theme park, the Coal Miners' Memorial Park and AEP Recreation Land. In the evenings, guests staying at Stockport bed and breakfast inns can see life musical performances at Ohio Valley Opry. Another option would be the Twin City Opera House. For shopping, the best place to go would be Athens, which is just a few miles away from Stockport. By Stockport Mill.